Eighteen years later, when Narcisa became owner of the same company at which she began as a secretary, there were still no women in charge of similar companies. Narcisa grew her career and developed leadership skills in a male-dominated environment with no female role models. That wasn’t the first time Narcisa knocked down a wall. She has always had a love and natural ability for mathematics. 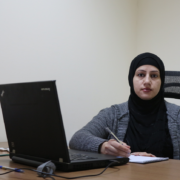 This opened doors for her in a country where, even now, the stereotype persists that women and numbers do not get along. “I understood math more. When they hired people. . .they looked for someone good in math, and I was ranked number one. I had not entered university, just graduated from high school,” she said, sitting at a table in one of her company’s offices. On the wall are a map of the world, a small painting of Sri Lanka, and some family photos. A short distance away you can hear the sound of workers coming in and out of from the cold storage quarters, the voices of producers working to close a deal, and the other typical sounds and conversations of a busy office. The packinghouse Narcisa runs has 55 permanent employees and buys oriental vegetables, such as Chinese eggplant, and tropical fruits, such as coconut. Of the 125 producers she buys from, about 30 are women. When Narcisa graduated high school in 1981, the Dominican Republic, like many Latin American countries, was undergoing a major economic crisis, and higher education was out of reach for most poor families like Narcisa’s. But her job in the packinghouse allowed her to cover the tuition of a private university. Narcisa is suddenly lost in a memory. The figure of her mother emerges, a protective woman who has come to wait for her teenage daughter at 8:00 at night by the side of the road to make sure she arrived home safely from her job doing inventory for a farm in Santiago Rodriguez, near the Haitian border. ‘I arrived in a truck. The driver would leave me, and my mother would be there waiting for me on the route. So far we have come,” she says, clearly proud of her success and what she has built. When she took over the business, it was very basic, consisting of just a small building where the products were received and a cold room. Narcisa has had to deal with the hazards of hurricanes and floods, closed export markets (such as the United States), and government bureaucracy. But she succeeded in growing the business, regaining access to export markets, and increasing her customer base and sales. Staying afloat in a business full of ups and downs has required well-honed negotiation skills and a willingness to partner with other exporting companies. In fact, she credits much of her success to good, long-term relationships with employees, colleagues, and clients. For example, when she acquired the business, a Canadian company offered her an exclusive, ten-year contract and a loan on very favorable terms. To this day, she maintains a close relationship, ‘like a family’ with the company’s owners. Narcisa believes she has a responsibility as a business owner to help her community, and Exportada Cruz Bautista carries out social responsibility work, for example, paying tuition so that producers’ children can attend university and building houses for suppliers. She also feels an obligation to use her position in the community to support the local La Vega economy. Thousands of families in the region earn their living from agriculture. 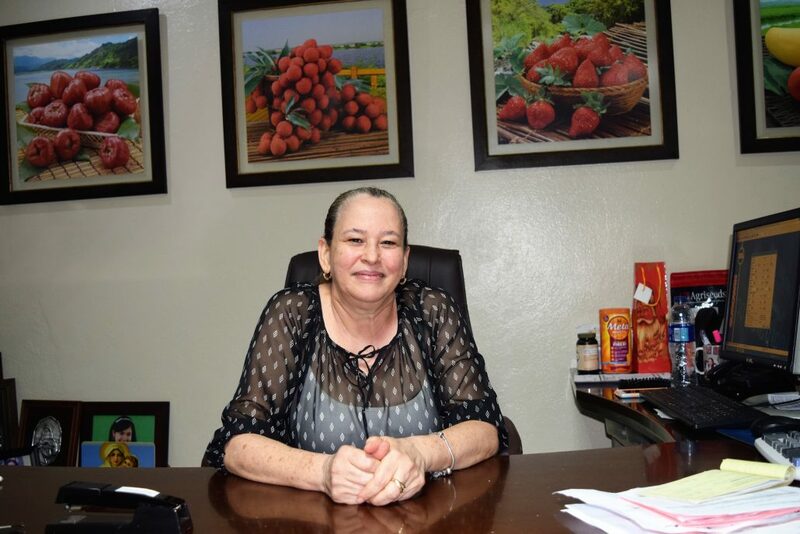 Narcisa serves as vice president of the Association of Oriental Vegetable Exporters (ADEXVO) and represents her sector in the Dominican Agro-Business Board (Junta Agroempresarial Dominicana). Chief among these groups’ activities is advocating for state support when there are closures or trade difficulties. Today, Narcisa is no longer the solitary female voice among a chorus of men. 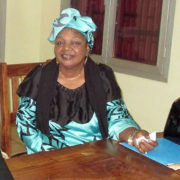 There are now several women as owners or co-owners of family-run vegetable export businesses. Narcisa is married to an oriental vegetable producer and together they have two daughters who are also involved in the business. It falls to them to live out a future with more opportunities, but they will still face a world full of gender imbalances and in which the unemployment rate for women is practically double that for men. The interview draws to a close. There is business to attend to, and Narcisa says it’s time for her to do a walk-through. On her way, she’ll observe the bustle of a company that is increasingly adapting to international quality standards. She’ll see producers who work hard for their livelihood. And she’ll see the living expression of her own life story, a Dominican woman who overcame obstacles, built strong business and community relationships, and became a pioneer in her field. Riamny Méndez Féliz is communications and gender specialist with the Dominican Republic Exporting Quality Program, a USDA-funded program implemented by IESC. The program is increasing productivity and domestic and export sales of high-value fruit and vegetables: avocado, greenhouse and oriental vegetables, pineapple, and cocoa. IESC works with producer groups and packinghouses to help them meet international food quality and safety standards.